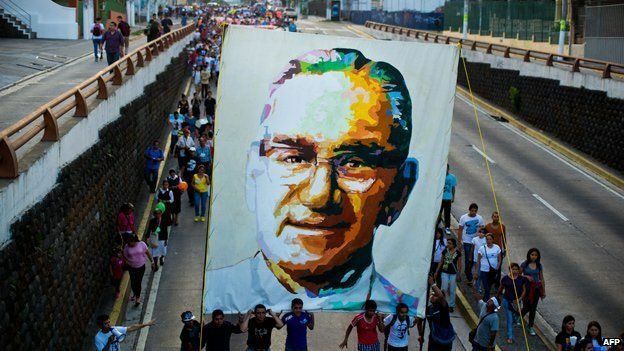 Pope Francis has ruled that Salvadorean Archbishop Oscar Romero died as a martyr, paving the way for his beatification. Beatification is the step before sainthood in the Roman Catholic Church. An outspoken critic of the military regime at the outset of El Salvador's civil war, Archbishop Romero was shot dead while celebrating Mass in 1980. For years, the Church blocked the process because of concerns that he had Marxist ideas. The bishop was one of the main proponents of Liberation Theology - an interpretation of Christian faith through the perspective of the poor. Unlike other candidates for beatification, martyrs can move to the beatification stage without a miracle attributed to them. A miracle is needed for canonisation, however. Archbishop Romero denounced the right-wing death squads that operated in El Salvador, and the oppression of the poor, calling for an end to all political violence. After his election in 2013, Pope Francis, the first Latin American pontiff, unblocked Archbishop Romero's sainthood process. The Church restricts the martyr designation to people who were killed out of hatred for the Catholic faith. Doubt over whether Archbishop Romero was killed for his politics in support of the poor or for his faith was one of the reasons his case was stalled. No date for the beatification has been set. Pope Francis, who has advocated that the Church focus more on poverty, is considered to be more in line with Archbishop Romero's approach to social justice than previous pontiffs. In August, Pope Francis hoped for a quick path to beatification, calling the archbishop a "man of God". It was a murder which shocked Catholics around the world. But one question which has haunted them ever since that fateful day in 1980 is: If he was killed for his faith, why was Oscar Romero not made a saint by any subsequent Pope? The answer goes to the heart of one of the Vatican's ideological disputes. His concern for the poor led some to equate Archbishop Romero with Liberation Theology, a movement that encouraged Catholics to view material oppression as an affront to God which demanded radical action, not just prayer. Yet Liberation Theology was deeply unpopular in the Vatican, not least because it criticised hierarchical structures - including those of the Church. Pope Francis was once deeply sceptical as well, but appears to have changed his thinking. Time and again, he has condemned poverty, calling for everyone to be able to share in the fruits of prosperity. His declaration of martyrdom is another sign that Pope Francis considers economic injustice to be a terrible stain on the world, which Christians must challenge. 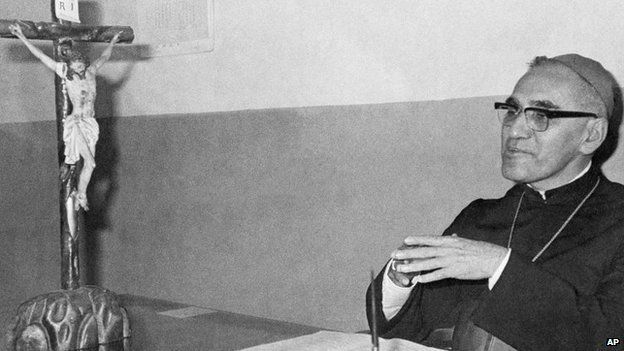 For many Catholics, the declaration that Oscar Romero is a martyr corrects an unfair oversight. Archbishop Romero was killed on 24 March 1980, aged 62, after ending his sermon in the capital, San Salvador. In 1993 a United Nations-sponsored truth commission concluded the archbishop's assassination was carried out by a death squad under the orders of Roberto D'Aubuisson, a former army officer who died in 1992. 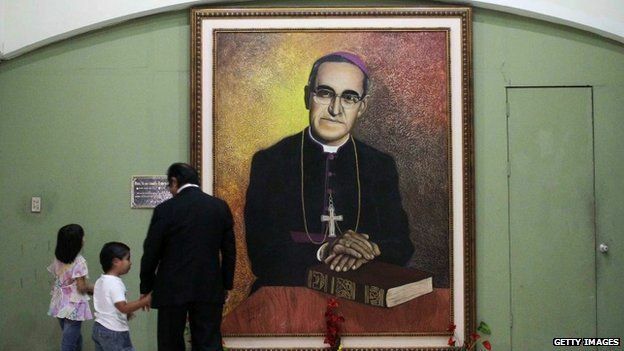 No-one has ever been convicted in connection with his murder, but in 2010 El Salvador's President Mauricio Funes issued an official apology for the murder of Archbishop Romero. Some 75,000 people were killed in the civil war, which began in 1980 and ended in 1992 with a UN-brokered peace agreement.